Gorgeous remodel by an experienced contractor who puts a high value on quality. New flooring, new paint, new trim, new doors, new granite, new stainless appliances, new sod with sprinklers and more! This home (or both front unit and back) can be YOURS to live in or rent out. Projected rent = $2,000 - $2,150 yielding a terrific 8%+ cap rate. 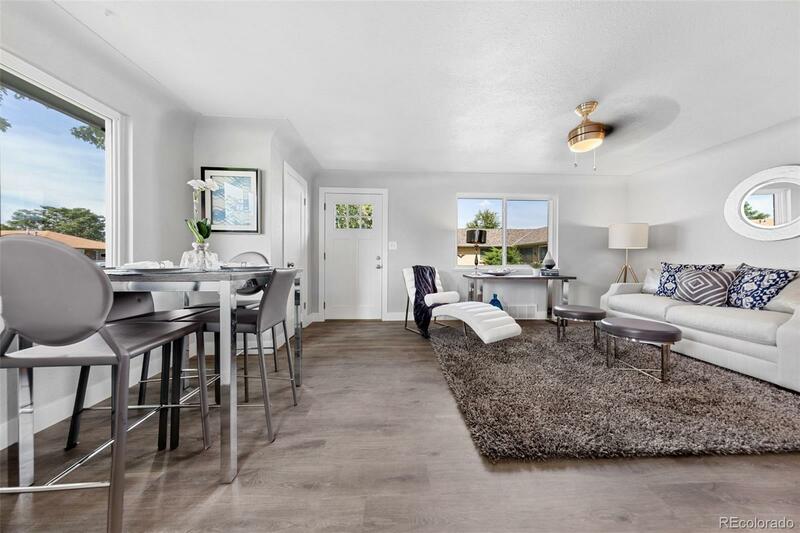 Living here, you basically have a new home but retain the convenience of being sub-$300,000 and still close to Denver, Stapleton, Lowry, DIA and more! Owner is a RealtorÂ® and co-listing agent. Matterport now shares both 3660 and 3662.